About SHIRDI:: "SHIRDI" the great saint Sai Baba's Places where Sai Baba lived and they spent their whole life for the people for their welfair till his samadhi in 1918. Shirdi is famous as "SAI BABA"s Shirdi.Many Sai Baba Devottes came shirdi to take sai Drashan and visit other temples like as DwarkamaiChavdi,Khandoba Temple,Nand deep,Sai Baba Museum.Panchmukhi GanpatiTemple Upasani Maharaj Temple And also Nearby Nashik (Trimbakeshwar Jyotirling Ramayanakalin Places),Shanishingnapur(Swambhu Shani Temple),Aurangabad(Places like Ghrusheshwar Jyotirling,Ellora Caves,Bhadramaroti Temple),Ajantha Caves,Bhimashankar Jyotirling,Pandharpur. 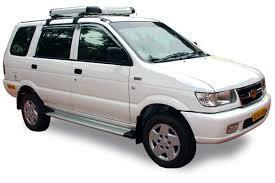 Rent car shirdi (Sai Aaditya Tours And Travels,Shirdi):- provide best Car rental service in shirdi reasonable price,Shirdi car rentals.Hire a car from shirdi to near tour packages,Airport pick and drop.Rent a Car shirdi helps you find the most competitive and quality car rental services in Shirdi to your destination.Finding a cab rental service easier in Shirdi.You can take the benefit of our Car Hire Services in Shirdi.By arranging a car rental vehicle in Shirdi,you will have the freedom to organize your own touring schedule and visit the places you are interested in at your leisure.We are located in Shirdi,Shop No.1,G.Floor,Bhakti ParkInn,Nagar-Manmad Road,(Opp.500 Room Bhakt Niwas),Maharastra,India Pincode:423109 . 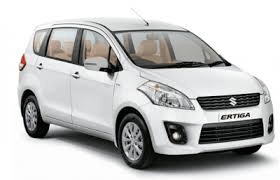 Are you looking Taxi,Car rentals Services in Shirdi.Rentcarshirdi provide Taxi rentals services in shirdi to loacal and outstaion seightseeing,Airport pick up and drop services,Family tour car rentals. We offer All Sai baba devotees to choice to rent a variety of economy cars, luxury cars, tempo travellers.Hire best vehicles to travel at reasonable prices at Shirdi car rentals.Hire cab shirdi tour.Shirdi Rent a Car helps you find the quality of car services 24x7. This makes the booking of car rental services easy as everything is done at one place.